Want a desk made out of reclaimed doors that doesn’t look that way and doesn’t look insubstantial? 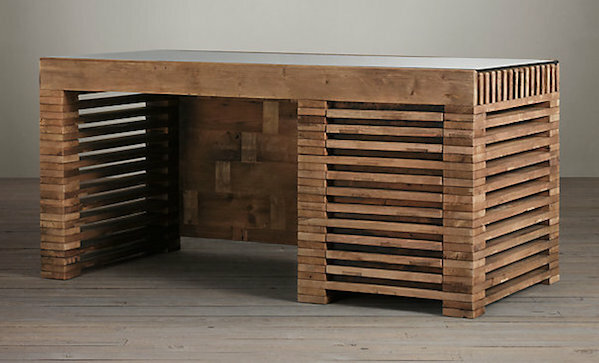 Then check out this reclaimed timber slat desk ($2,545). Made from reclaimed pine slats (apparently cut from doors), this bad boy is something of a beast, made a touch softer by the addition of a glass top (which also makes it functional).